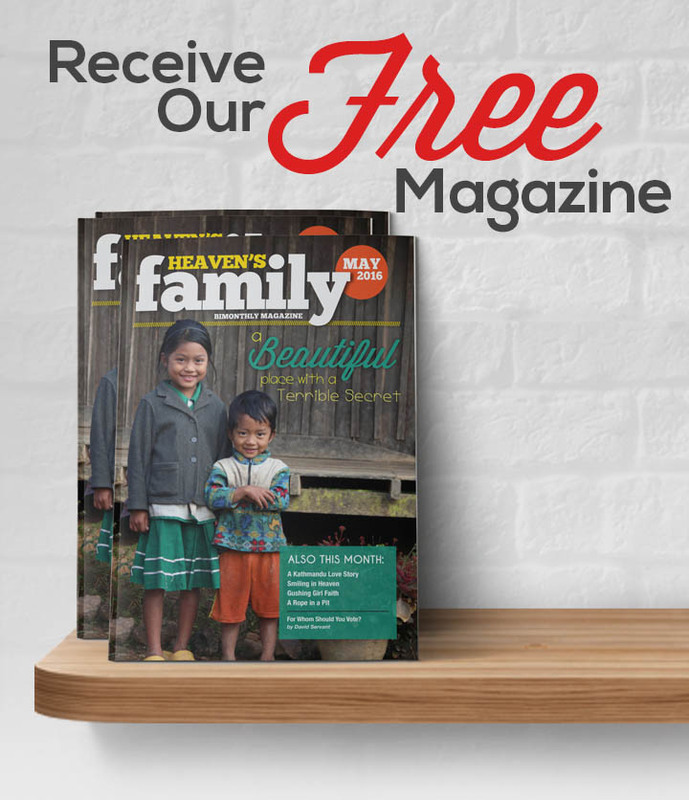 This month, I’d like to share with you a need of a dear friend who is laying his life down to train missionaries to reach hundreds of Burmese villages with the Good News. Burma (also known as Myanmar) is a mostly Buddhist nation in Southeast Asia whose 60,000+ villages are strewn across breathtaking mountain ranges, wide valleys, and fertile deltas. Many of the villages are only accessible on motorbike—or days of hiking on foot. When I’ve visited some of these villages, I have often been the first person with white skin they had ever seen! Many villagers, like their ancestors, worship spirits thought to inhabit trees, rocks and rivers. Others adhere to Buddhism, hoping to one day reach a state of Nirvana through their own works. Many have never heard the name of Jesus. There are a handful of dedicated missionaries working to reach these villages with the gospel. One of them is a young woman named Lydia. Over the past several years Lydia has ministered in dozens of remote villages, many unreached with the gospel. Let me tell you about one of her experiences. When Lydia and a coworker first arrived at Ho Khe Village, they faced strong resistance from Buddhist and animist villagers. They soon left, discouraged and disappointed. Later, however, they discovered that Ho Khe had no school or teachers for their children. So with faith and optimism, they returned to the village as teachers—and this time found themselves warmly welcomed! They taught the children using Bible stories, and the children began to pose questions such as, “Who is Jesus?” “Is He greater than Buddha?” “Why was He crucified?” The inquisitive students often brought their parents to school, too, and the missionary-teachers eagerly explained the gospel to them. Many of the parents—and their entire families—have given their hearts to Jesus! Lydia traveling on the back of an oxcart to minister in a remote village—these missionaries are determined! Lydia is just 1 of the 9 indigenous missionaries our National Missionary Fund supports every month through my dear friend, Khamh Lian Thang. Khamh directs a missionary training school in Shan State—Myanmar’s most unreached region. His heart aches to reach his people with the liberating gospel of Christ. Through his small mission school, Khamh has been training, equipping and sending missionaries throughout his nation for over 8 years. He has seen many lives transformed by the power of the Holy Spirit. As Khamh’s missionaries travel to remote villages, they share the gospel door-to-door during the day, and conduct Bible studies and discipleship meetings in the evenings. And like Lydia, they’ll become undercover teachers if that can open a door for the gospel. They are willing to do whatever it takes to plant the banner of Christ in these villages. As Khamh continues to train these frontline missionaries, his family is now facing an urgent need—they need a place to live. Khamh, his wife Ni Ni, and their beautiful children, Nathan and Rachel, have made huge sacrifices for the sake of their ministry. They’ve never owned a house of their own, but always rented tiny living places, putting the priority on their students. The problem is, Myanmar’s economy is growing. Chinese investors have been bidding up property values in Khamh’s city, and landlords keep raising the rent. Khamh and Ni Ni have moved repeatedly—each time their rent has become unaffordable. Now it seems they have nowhere to move, as they can’t afford anything. So I suggested to Khamh that he add a second story to one of his existing campus buildings to use as the new dorm for girls, and that he and his small family move into the existing girls’ dorm on their small campus property. That could be the final solution to their perennial problem. Khamh shared my proposal with his wife and his board of directors, and everyone favors the idea. Khamh and his students will do all the construction work themselves, so all we need to do is help them buy the materials. They still need $19,500 worth of wood beams, bricks, mortar, and tin roofing sheets. I know this need seems big, but together—as a family—we can accomplish big things. If 195 people each give $100, then the need will be fully met. Can you help? Any amount to our National Missionary Fund is an investment that brings the gospel to people who are waiting for their first chance to hear it.